"This new generation of gaming is not a box"
Editor's Note: We previously stated that the Stadia would be running on AMD x86 processors. AMD has reached out to clarify that it will be running on AMD Radeon datacenter GPUs, not AMD CPUs, just in case there was any confusion. 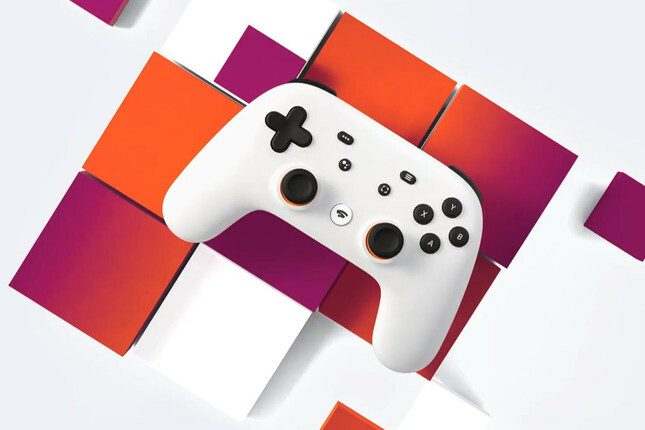 Long-time rumours of Google's impending foray into gaming were confirmed today when the internet giant announced its game streaming service, Stadia. Stadia will be supported by TVs, tablets, laptops, and phones. The service will work with existing controllers on PC and laptops, but Google is also releasing its own controller for the service which connects directly to the Stadia servers via WiFi. Beyond the lack of tradition console or gaming PC requirement, the platform will also forgo any need for physical media or download. The streaming nature of the service allows for a number of new features, including the ability to view a game world from a number of perspectives. Another feature described by Q-Games founder Dylan Cuthbert was the concept of "state share" where a player can link to a particular moment in their game – location, inventory, etc – and share that link with others. Stadia could also beckon a return to couch co-op titles, as it can offer the feature without taxing a game's performance any further. Integrated social features could also allow players to watch videos on YouTube, then step into the associated game at the click of a button. It was also noted that the service will support cross-platform play. A demonstration featured 4K visuals running at 60fps, however the connection speeds required for this fidelity were not stated. On the server side of things, the Stadia platform is being built using AMD Radeon datacenter GPUs. Google boasted a GPU with 10.7 teraflops of power, and was quick to compare that to the 4.2 of the PS4 Pro, and 6.0 of the Xbox One X. Development kits are already with more than 100 studios, while Id Software has already confirmed the upcoming Doom Eternal will be coming to Stadia. In addition to this, hints were dropped that games like Red Dead Redemption, Skyrim, and Metal Gear will also be coming to the platform. Google has also assembled its own first-party studio, appropriately named Stadia Games & Entertainment. The studio will be run by Jade Raymond, who announced her new position at Google earlier this week. Part of Raymond's role at Google will be to work with external studios to integrate Stadia's features into their games. The Stadia service is expected to launch later this year in the U.S., Canada, U.K., and Europe.